Potlotek Tourist Information Centre Society was incorporated February 27, 2013. It was formed to help create jobs within the community and build partnerships with the Tourism Industry. Potlotek First Nation is located on #4 highway, 12kms from the famous St. Peters canal. The canal is the gateway too the Atlantic Ocean from the Bra D’or Lake, as to which, Potlotek First Nation is approximately 7 to 10 minutes by boat too the canal. The inspiration to form the Potlotek Tourist Information Centre Society had been from a group of adult learners in the Adult Learning Program. The program offers diverse learning, such as,revitalizing the skill of harvesting L’nuinpisun (aka)native medicines,an achieved skill from parents through hands on training and oral traditions; Mi’kmaq language (written and oral) Computer skills, Emailing, Power- Point, Excel and Word-Perfect, Budgeting, life skills etc. 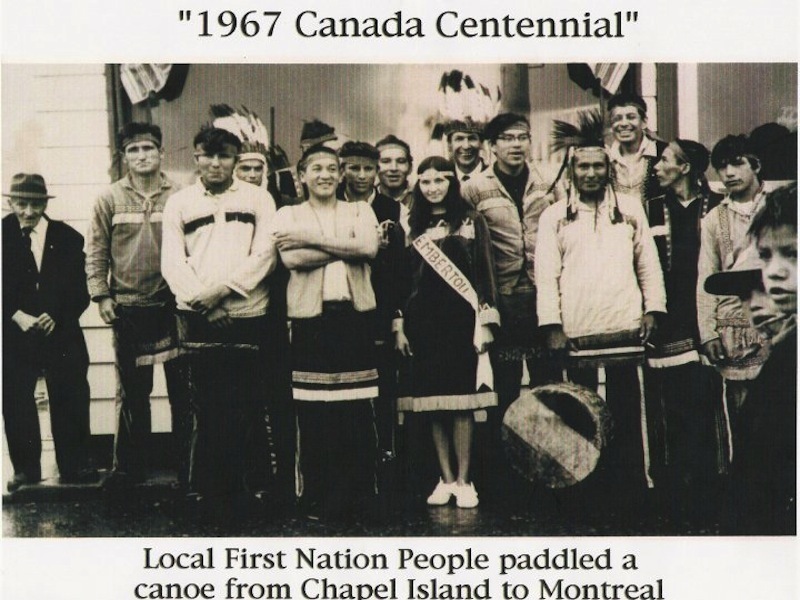 Potlotek First Nation (aka) Chapel Island is the home of Saint Anne’s Mission, each year people gather on Chapel Island to celebrate the Feast of Saint Anne. Mi’kmaq and non-natives from worldwide come and celebrate the religious event; many arehealed during this time. Furthermore,Mi’kmaq, French and Mohawks are buried on Chapel Island and to this day the Mi’kmaq still bury theirloved ones on the site. The island is a sacred ground and Mi’kmaqs are well connected with spirituality. Yes, Mohawks are buried on the sacred Island because of the wars they had with the Mi’kmaqs. Come and learn more about the historyand its connection with Louisburg and Port Royale. Potlotek First Nations community members are gifted in arts and crafts, local crafts can be purchased at the community hall and while there,please feel welcome to have a cup of tea with the Mi’kmaq and talk to the crafts ladies and maybe while there; you may want to take an opportunity to learn to make a dream catcher or other beaded crafts. Mi’kmaq people are known to be very friendly and hospitable. Every January at the end of each month an annual feast is held at the community hall - here we celebrate the winter harvest, people from other communities come help celebrate. Take a tour on one of the oldest celebrated Islands in Chapel Island, here you will have an everlasting spiritual feeling and also don’t miss an opportunity to tour the Alick Island, many artifacts are found on the Island; it was known as one of the encampments for Mi’kmaq to gather berries and medicines.